Find the finest & native dishes on the island! Due to the influences from foreign dishes quite observable as you move around the archipelago, Filipino cooking has evolved a lot in the past centuries. However, since this tropical is lush with spices, many people prefer to prepare their meal with what's available from their farms, house gardens, or the local markets rather than buying imported products. So, in the past many centuries the Filipino style of cooking has been evolved having a combination of Malay, Chinese, Arabian, Japanese, American, Latin and other Asian influences being adapted to native ingredients and locals' taste. 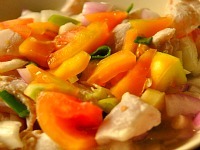 In particular, Filipino cooking can be identified with three general tastes: salty, sweet, and sour. A dish can have only one or the combination of the three flavors which actually brings or results a pleasing taste to the palate. Now, what follows are some short descriptions of Philippines food traditional and popular in most regions of the country. They are my favorites too. lechon-- a whole roasted pig. "King of the Filipino food" as I call it. dinuguan-- a favorite among Filipinos. It includes animal internal organs and blood. NO, its not gross! It's very tasty. And, of course, there are thousands of dishes available owing to various ethnic or regional groups of people and food resources. The thousands of islands (7,000 plus) can provide different cuisines of various ingredients and tastes. We can only show you some photos of native Philippines food and Filipino cooking. Below are just some of them. However, if you are so interested to see more you know where to look – Google, Yahoo! or Bing, right? (Photo: yummy-cebu.com). 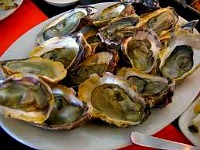 It is one of the famous Filipino seafood and is readily available on the island. It is the source of calcium and other nutrients especially for people living by the seashores. It is usually a fresh fish (of any kind) dish mixed in with all sorts of ingredients including: tomatoes, scallion, onion, ginger, vinegar, and other spices available locally. (Photo: jeepneyguide.com). Yes, lechon is the most popular delicacy among Filipinos locally and abroad. Without this dish, a wedding, anniversaries, birthdays or any other event is not complete. It is a barbecued one whole piece of young pig! 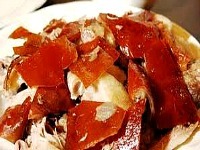 A lechon is perfectly prepared when the skin is crunchy enough to be eaten... yummy! (Dodz). 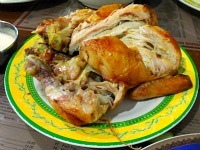 Chicken is also one of the most popular source of protein among Filipinos. It can be prepared into various dishes and the number of dishes depends of the region or locals who prepare the menu. 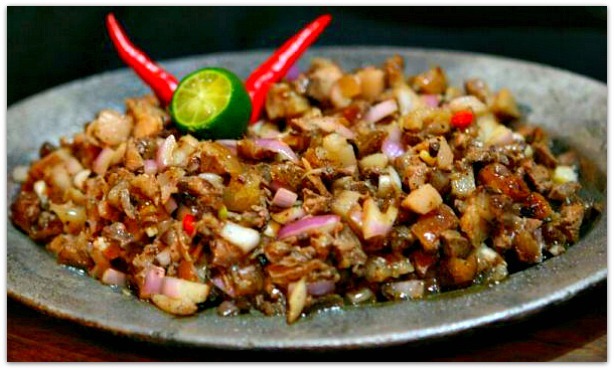 The following are some of the Filipino or Pinoy food restaurants located in Cebu area. These are just sample places where you can easily access but you can certainly find Cebu style of Philippines food anywhere you go on the island. Fresh starters – baked tahong, kinilaw, baked scallops, shrimps in garlic, etc. Simply Souperb! 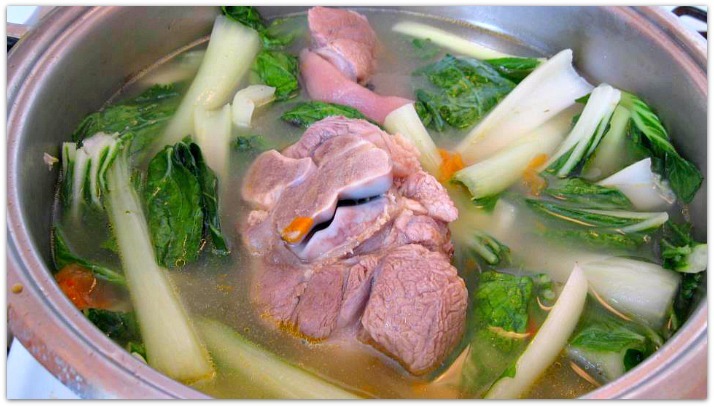 – sinigang or tinolang pork/prawn/tangigue/lapulapu, bulalo, linat-ang baka (beef soup), etc. Veggie Entrée – adobong talong, pinakbet, tinuang nangka, puso salad, atsara, bicol express, etc. Meat Dishes Galore – grilled pork belly, chicken haling-halang, crispy pata, caldereta, grilled ribs, chicken barbecue, lechon kawali, etc. 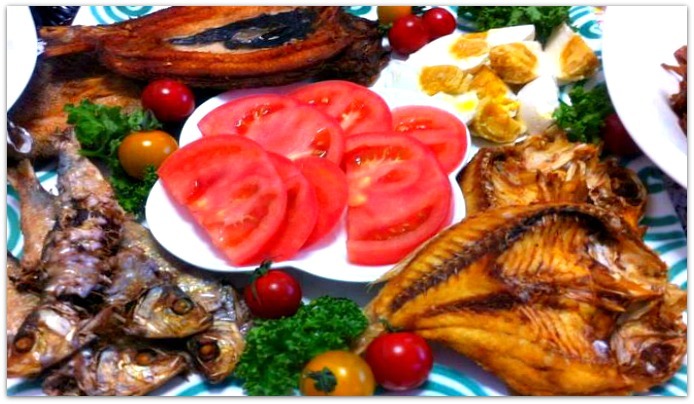 Seafood Platter – escabeche, fried tuna fingers, bangus, blue crabs, prawns, lobster, tangigue, tuna belly, blue marlin, etc. Sweets – golden cowrie halo-halo, ice crea, leche flan, biko, tsokolate, etc. Crispy pata, sizzling sisig, utan bisaya, balbacua, seafood, etc. Desserts – biko with latik, minatamis na saging (sweetened banana), bucayo (sweetened coconut meat), etc. Refreshers – shakes, juices, citrus coolers, etc. Dining area is an Al-fresco roof deck and outdoor or indoor. Boosog also provides a function room that seats 35-60 persons for any social events. Yes, they are great native Cebuano (Filipino cooking). However, just in case you can’t easily find them and really dying to try Filipino dish, just look around and find the word “Karenderya” or “Carenderia”. That’s the place, the original ones! Have A Special Pinoy Food Recipe? If you have your own special recipe regarding any Filipino dish, you can share it here and make it popular! Yes, that's the short description and background of Filipino food within its varied, mixed and intricate regional and cultural aspects.